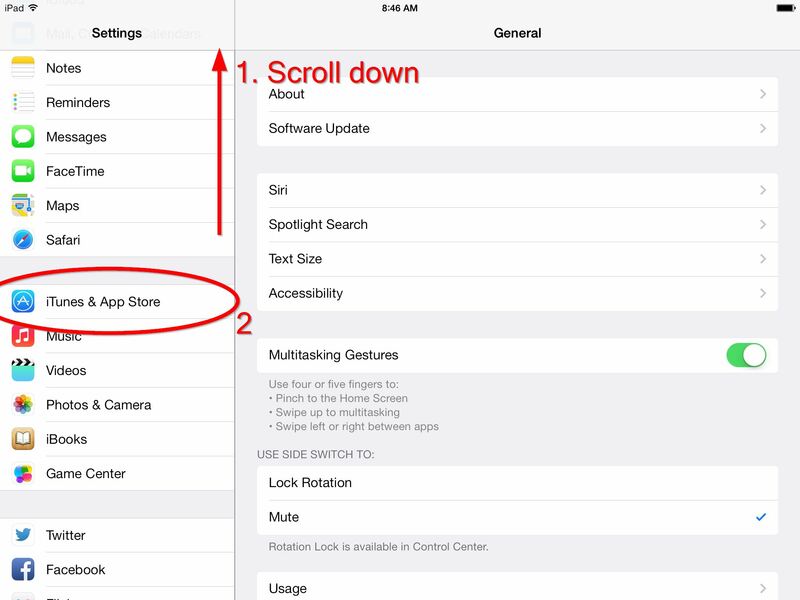 iOS 7 contains a feature which allows apps to receive updates without requiring user action. You may wish to enable this if you own a large number of apps which are updated frequently. However, using this feature may increase your internet data consumption. If your internet plan has a limited download allowance, it is recommended that you Disable this feature so you may continue to update apps manually. This article explains how to disable or enable this feature. 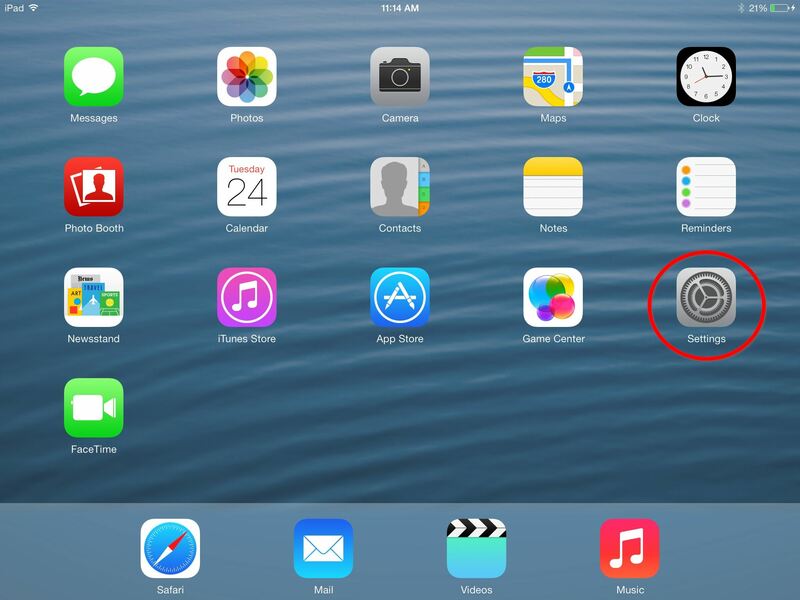 Tap on Settings, located on the iPad home screen. 2. Scroll down the left-hand-side menu until iTunes & App Store can be seen. Tap on it to bring up the options. 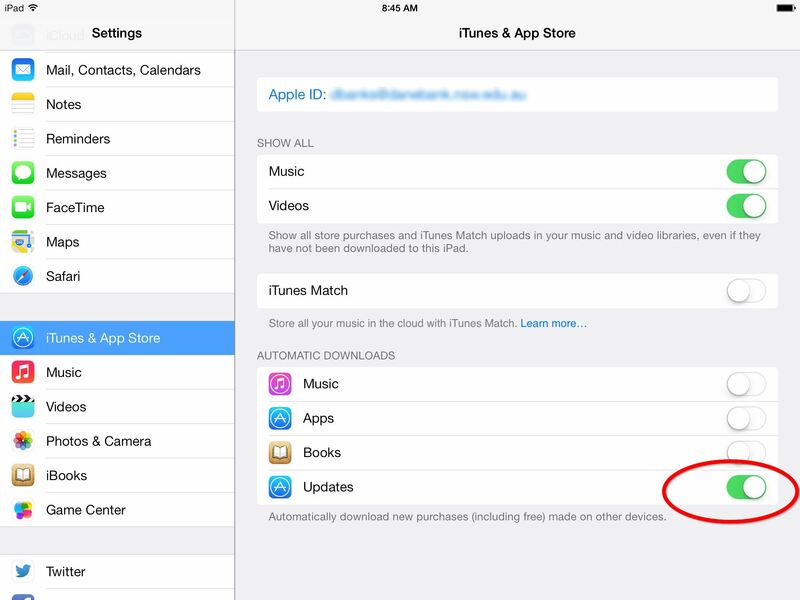 Scroll down the left-hand side menu until iTunes & App Store can be seen, and tap on it. 3. Switch the Updates option on or off to set which content you wish the iPad to update automatically. The switch will turn green to indicate that the feature has been enabled. In the iTunes & App Store settings screen, tap on the switch to the right of Updates to disable or enable Automatic App Updates.